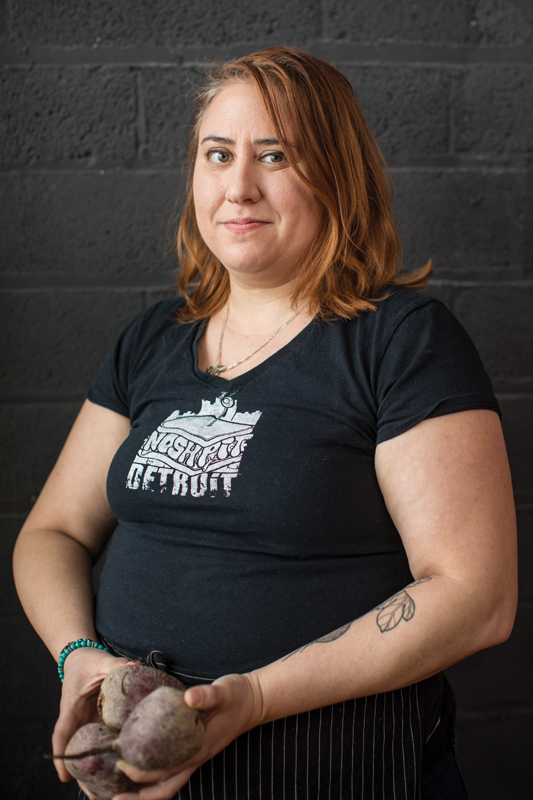 The appropriately bright green Nosh Pit Detroit food truck has become a familiar sight around town for the past couple of years — especially in Hamtramck, the most food-truck-friendly place in the metro area, according to Nosh Pit’s Karen Schultz. 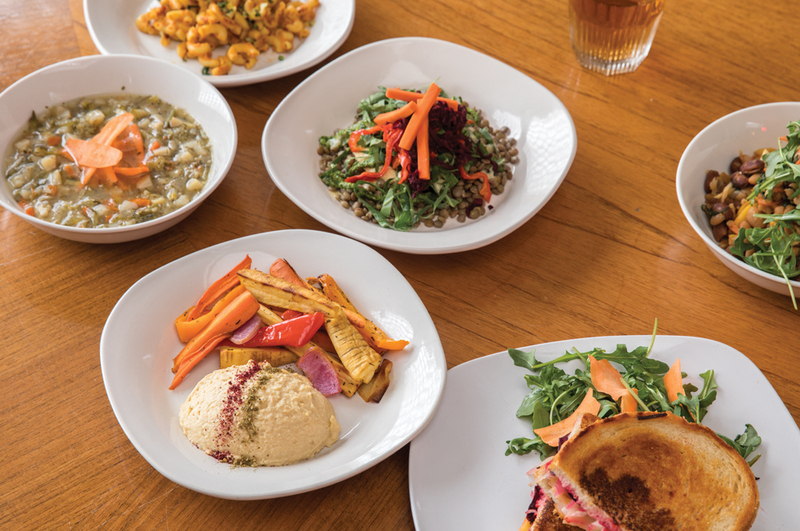 Nosh Pit made its mark with vegan and vegetarian fare when they started in 2016 after two years of planning and fundraising, Schultz says. And the timing was great. “There was a vegan revolution, and we were riding the wave of popularity,” she says. They found a 1986 truck that already had some equipment: a refrigerator, a sink, and a Cambro food transportation box. They added a griddle, two refrigerators, a hood system, and a generator — and off they went. The colorful truck began taking soups and sandwiches to various locations to provide lunch for businesses by pre-arrangement. But Nosh Pit especially enjoyed the welcome they got in Hamtramck, where they were able to park on the street and serve passersby without a lot of planning and red tape. 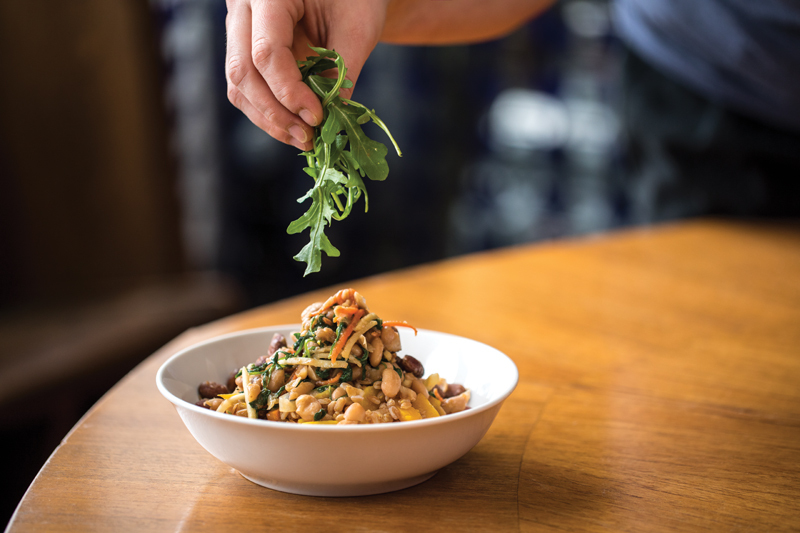 In fact, Schultz and her business partners, husband Eric and chef Stefan Kudek, liked Hamtramck so much, that when they decided to open a brick-and-mortar restaurant, they chose a spot in the former Yemans Street pop-up. 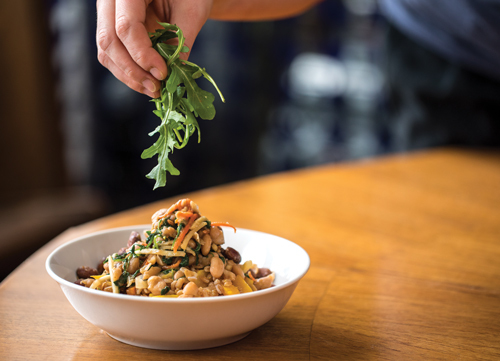 Nosh Pit had a “soft opening” in mid-January, and is starting off with Thursday through Saturday dinner service, with plans to gradually expand the schedule. Megan Barsotti, Chris Tietz, and Katie Potter are the full-time staff. The menu includes some of the most popular items from the truck, including the Larry — a vegan version of the Reuben sandwich. There will also be entrees such as farro with roasted vegetables. Fans of the green food truck and its lentil chili, hummus, and chocolate beet cupcakes, however, need not worry. The truck will still be making its rounds, and so will the food cart they added along the way to give them yet another method of spreading the word about the benefits of a plant-based diet. All three principals have been dedicated vegans for years, though Karen admits she wasn’t one when she met her husband. Now, however, she describes herself and the others as “ambassadors” for veganism. Their enthusiasm extends beyond their own kitchen to others in the vegan/vegetarian movement. The next project on Nosh Pit’s agenda is a food truck park that will accommodate more than a dozen trucks under one roof. 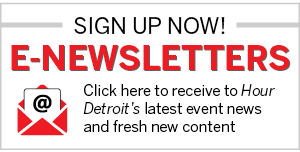 Previous articleDetroit’s Inferiority Complex? Not Any Longer.